Caroline Fredericks is one of ten nurses working on the Asthma UK helpline. Caroline Fredericks trained at St Thomas’ Hospital in London, qualifying in 1981. After four years as an anaesthetic nurse in theatres she spent three years working in Zambia, the Middle East and Papua New Guinea. 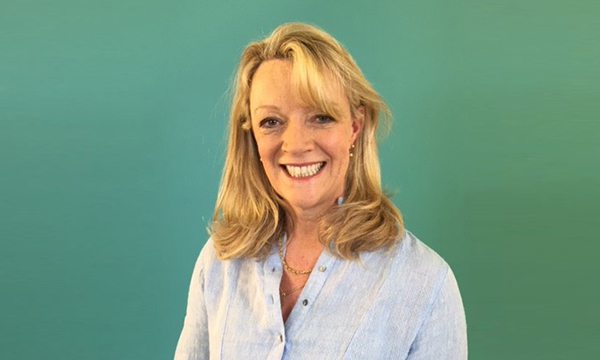 She spent the next 25 years working in primary care, with roles including nurse manager, nurse practitioner and respiratory nurse lead at a practice in Petersfield, Hampshire. She took up her current post as asthma nurse specialist on the Asthma UK telephone helpline two years ago, and also works one day a week as a nurse practitioner at a clinic in Surrey. I’m part of a team of ten nurses working on the Asthma UK helpline. We respond to more than 7,000 calls a year, as well as offering information and advice via email and on WhatsApp. I respond to a wide variety of enquiries and offer advice to those newly diagnosed with asthma or distressed parents whose children have asthma symptoms. I also deal with bereaved relatives and support people with asthma who may be concerned about a doctor’s appointment or are fearful about the future. Every day is different. I applied following my career in primary care. I still work in a surgery one day a week, so it wasn’t about leaving nursing but using my skills, both clinical and educational, in a different way. People experience asthma differently, so each call is different. Sometimes we offer emergency advice, at other times we speak to a parent who is worried about their child. There is a lot of anxiety around asthma which can become a vicious circle – the anxiety feeds the asthma and the asthma feeds the anxiety. I love being able to give callers the clarity they need, help calm them and arm them with information. Knowing I have made a difference and put someone on the right path. Sometimes we will advise people who are having an asthma attack on the phone to dial 999 or go to the emergency department. One woman said she had been told by staff at the ED that if she’d left it much longer she wouldn’t have made it. We are saving lives. It’s distressing when you hear that patients have been left to sort out their asthma on their own. We offer as much help as we can, but as they are not our patients or on our caseload, you worry if they are going to be all right. Informing people and keeping up to date with advances in asthma care. It’s not always realised how many people are affected by asthma – around 5.4 million in the UK – or that it is so serious that three people die from an asthma attack each day. So many deaths are preventable. It also surprises me how shocked people are that you can get asthma in adulthood. I am committed to ensuring people have the best care and remain on top of their asthma. I want the person who calls to go away feeling stronger than they did when they first found us. By embracing changes in technology. We recently launched a WhatsApp service and its success has taken us all by surprise. We expect to be developing new channels to provide advice and support based on service user demand, which is really exciting. I am very happy in this role but I want to keep learning, developing and seeing how the asthma health advice service can grow.